My final week of Visa Wellington On a Plate did not go as planned. With all my careful planning and mapping of the best routes between eateries, I never once expected that I’d be hospitalised for two nights for a smorgasbord of tests and procedures. I won’t bore or disgust you with the details (I feel queasy just thinking about them myself), but suffice to say I had to settle for vicariously enjoying the last days of VWOAP from a hospital bed through social media. My planned appearance at the WORD Christchurch Festival, something else I’d been very much looking forward to for months, also had to be cancelled at the last minute. I had to listen to my body and take a backseat from all the fun. But all was not lost – when I was discharged, my doctor gave me the OK to attend one final event. 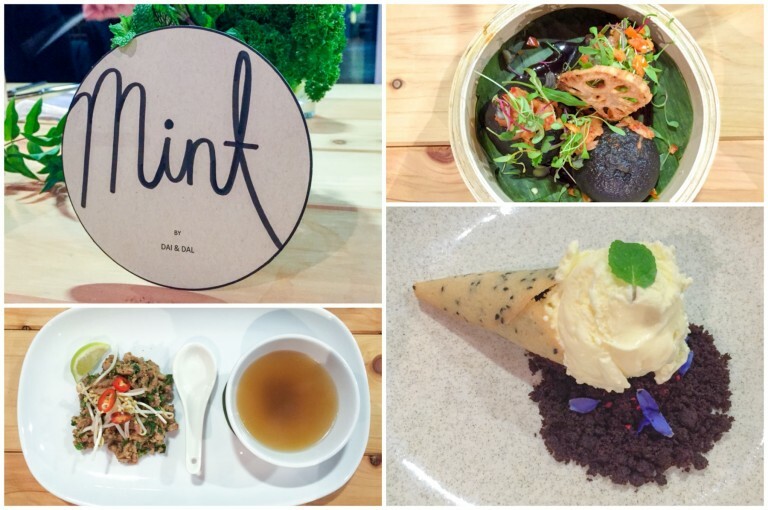 So, on Saturday night, my parents and I headed out to Porirua for Mint by Dai and Dal, former My Kitchen Rules contestants and two of the most welcoming hosts I encountered during VWOAP. We enjoyed a sumptuous three-course dinner that brought together Laos and New Zealand flavours and celebrated suppliers from the local community – beautiful squid ink bao stuffed with beef brisket and finished with a sweet and spicy tom khem glaze; a tender pork tenderloin larb with a delicious pork and tamarind broth; and a refreshing mint ice cream dessert with a hand-rolled sesame cone, chocolate ganache and chocolate crumb. 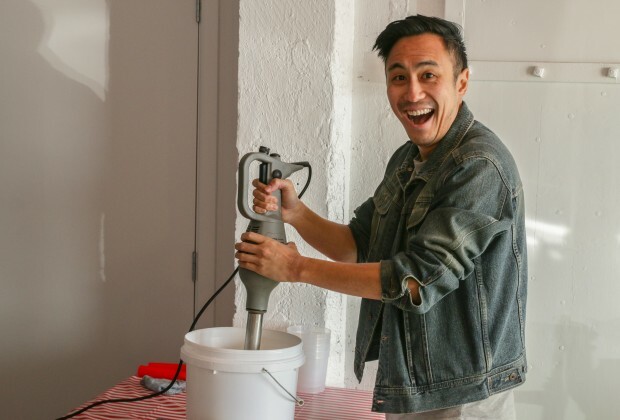 Dai and Dal’s passion for sharing great food was evident throughout the night, and the event reflected their desire to show the role food plays in bringing people together. When I booked the tickets for this event back in June, they were a pre-emptive “apology” to my parents for potentially not seeing them for many weeks while I busied myself with the Film Festival and VWOAP. But on that Saturday night, with my parents sitting across the table from me, it felt more than just any old excuse to take them out. It brought home the importance of the social aspect of sharing a meal with people you love – especially when they’ve stuck by your side on some of the scariest, most uncertain days of your life. 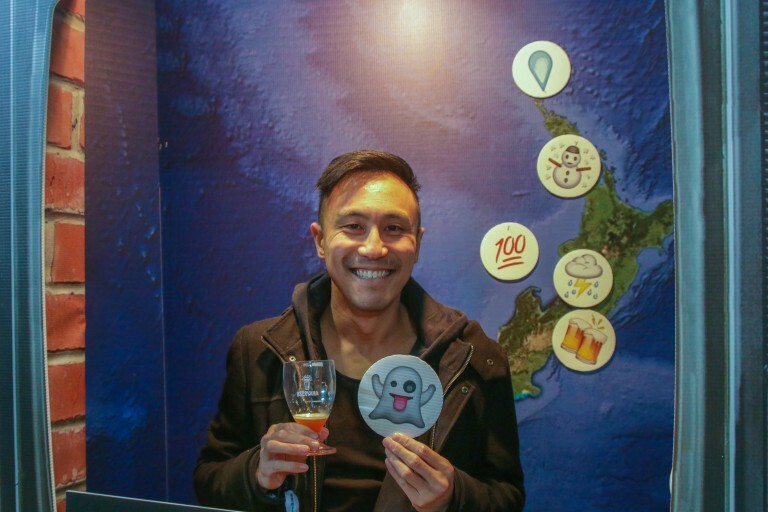 Over the last few months, I’ve spent a lot of time with friends (old and new) and awesome hard-working people from Wellington’s hospitality sector, eating, drinking and talking about what makes our cool little capital such a hotspot for foodies. Like my blogging stint last year, this is what made VWOAP such a thrilling experience for me – getting to meet like-minded people who are passionate about great food. Whether it was the Burger" class="redactor-linkify-object">http://www.visawoap.com/blog/b... Wellington Cook-Off – where seasoned burger battlers went up against excited newcomers – or circling the stadium meeting beaming brewers at Beervana, I’ve seen over and over again the addictive energy of not just a thriving and successful industry but a welcoming and collaborative community. I hope you’ve enjoyed following my VWOAP adventure this year. Thanks for reading and sharing my posts! Much love and respect to everyone who took time out of their busy schedules to speak to/feed/water me. To the stellar VWOAP crew – thanks again for having me back on board as an honorary member of the team. 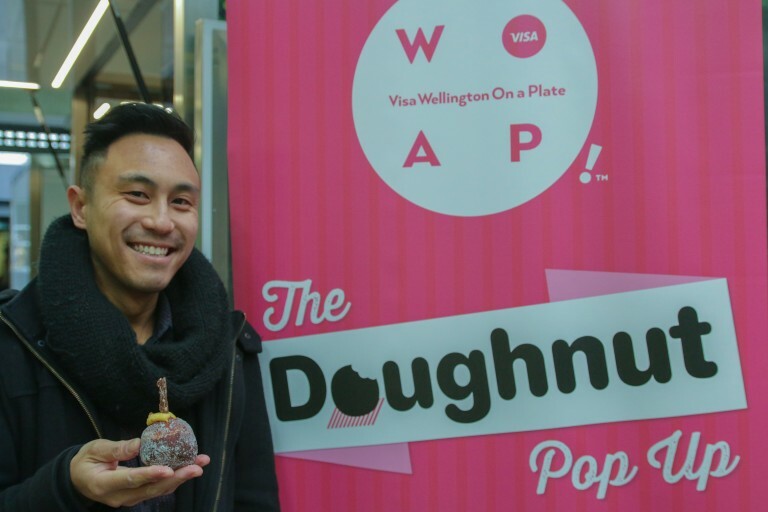 If Wellingtonians knew just half of what goes into making VWOAP such a success they’d understand why the VWOAP crew all deserve keys to the city – if that’s still a thing – or a celebratory street parade. (Which mayoral candidate can make this happen?). And with that, it’s time for me to sign off for another year. 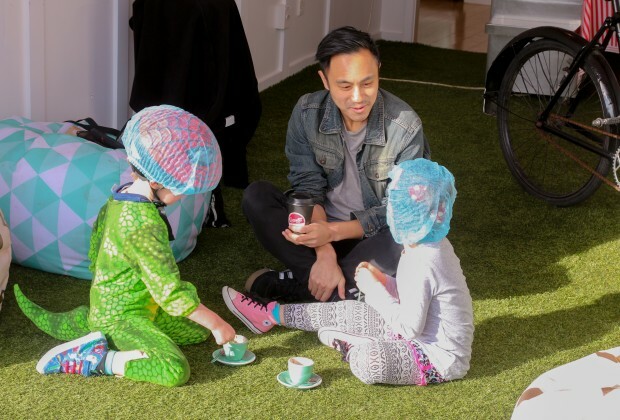 Until we meet again – eat, drink and be Welly!